I had a Dream About an AUTISM MOM/FAMILY RETREAT… could it be a reality? YOU TELL ME! I guess all this talk about dreams and stuff has stuck with me because I had an amazing dream last night that I have to share with you all. But before I go there, I guess I should back track and share with you some other details so you know this just did not come from left field. 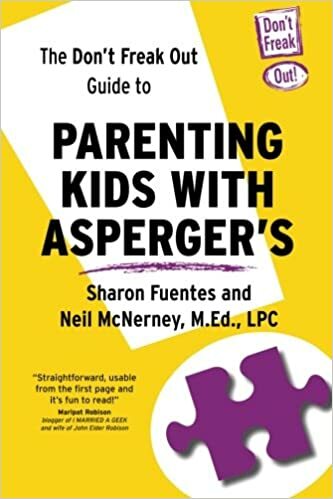 Awhile back the wonderful Karen from Confessions of an Aspergers Mom, (whom by the way if you are not familiar with… hello why not? She is fabulous and you MUST go over and read her blog) and I were chatting online and were talking about how awesome it would be to put together some type of Autism MOMS retreat. Think about it… how cool would that be? A weekend away around other women whom understand what your life is like. We got really excited about it and said he were going to do it, but then reality set in and well… nothing ever became of the idea. Last night I am not sure where it came from but I had a dream! An incredible dream that was so exciting. I saw so many details and it was AMAZING! I had to share this with you all to see if you all are as excited about this as I am, and well if there is a great reaction, then maybe I will have to go knock on Karen’s door and get her to make this dream a REALITY! It was summer time and we were in Orlando Florida… DISNEY WORLD! It was a weekend event. A special Autism family event actually in the most magical place on earth that really understands our kids and how to deal with them. It was a MOM’s retreat as in the moms had an entire day where the Fairy godmothers from the Bibbidi Bobbidi Boutique came and treated the moms like real princesses. But instead of getting glittery makeup and fancy hairdos like the girls get we rotated between stations of chair massages, pedicures and mini facials. There was laughter and everyone was relaxed and HAPPY! We were relaxed because while we were being pampered our children were being looked after by special Disney staff. Then the next part of my dream showed all of us as families on a special behind Disney tour that was so cool. (I did one of these years and years ago when I was in Middle school and yes it was cool.) I flashed forwarded in my dream and I was riding rides with my kids and we didn’t need the special pass you get that allows you to not have to wait in lines because we were all wearing special Disney Autism Weekend t-shirts. All the cast members would treat us extra special when they saw us in our shirts. Our kids and us too felt like Rock stars. Then at night we had a special reception where we were able to watch the fireworks with our kids from a room with windows so there were no noise and crowds. It was so magical people. Before I start making calls, and begging Karen to help me, I need to know if this was just a dream or a a real VISION people. WOULD YOU ALL BE INTERESTED IN SOMETHING LIKE THIS? TELL ME WHAT YOU THINK!!! Have you allowed yourself to DREAM lately? Well…my dear indeed this sounds fun, but dreams do not tell the reality of how much work this would be. Disneyworld would see so many meltdowns! It is a very fun, very stimulating place, that for many may feel overwhelming. An autism cruise…or an autism resort where there are activities and people who are trained do deal with our high maintenance children so that we could have actual time off…sounds like a good fantasy to me. One that I would be willing to put work into making come true. Hello! Johnnie from BabyMat sent me over to read about your blog! Your dream sounds awesome to me. In fact we have wanted to take our kids to Disney World for a while now but I always hesitate wondering if my oldest will be able to enjoy it? I am just getting started on reading a few of your blogs and so far I love it! I am not sure why but I have never reached out to other moms with children who have Autism so it is kind of neat reading your stories! Welcome Marie! So glad you came over and are enjoying reading my posts. Make sure to go to my facebook page. It is a great community of folks… mostly all moms of kids with Aspergers like us who really get things. That is what I love the most. being able to just vent or celebrate about stuff that other moms may not understand but WE DO!! !